Allison and I have been making shirts since 8th grade and screen printing since we first started lullaby lubbock when the twins and Ella were about 9 months. We made these horrible hibiscus flowers and these terrible snowmen shirts for the kids. And we hand dyed all of those babies. We were pretty obsessed with RIT dye at that point. And we loved how adding those buttons added to the entire look. Its hard to say what exactly they added. We always want to put our shirts in the shop (looking back, I am glad some of them we didnt), but we are always a little late on it or lose steam before we actually put them up. Thats where Sweet Tees came in. 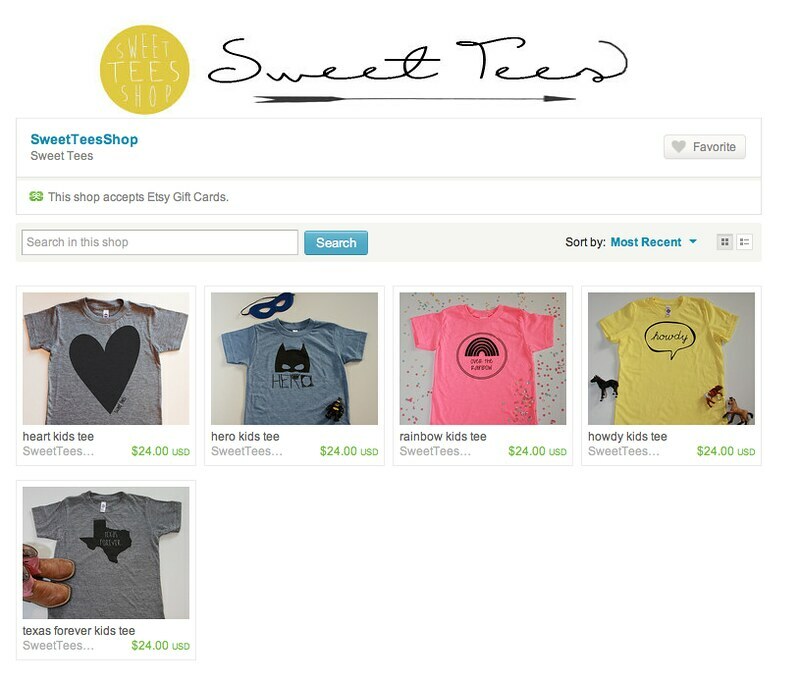 A few months ago, my friends Jennifer and Brandie started a tee shirt company called Sweet Tees Shop. Isn't that the cutest name ever? (You can follow them on instagram and they are on etsy too.) 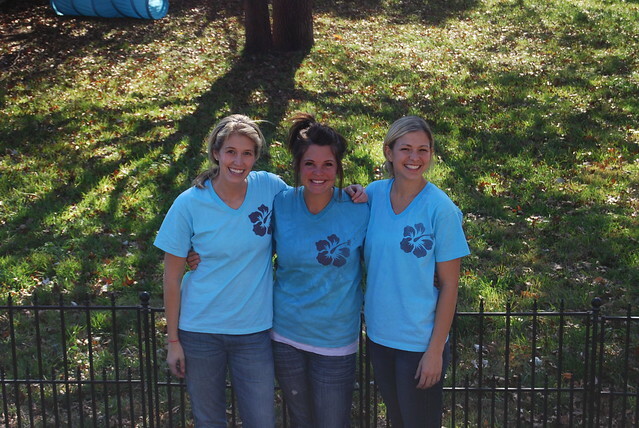 I love it all- they knew they could design shirts so they found away to get them out there and created a company. It was truly the most inspiring thing for me. This was around the time I started making thanksgiving tees for my kids. And I actually made them before the night before thanksgiving, like usual. Huge thrill over here. 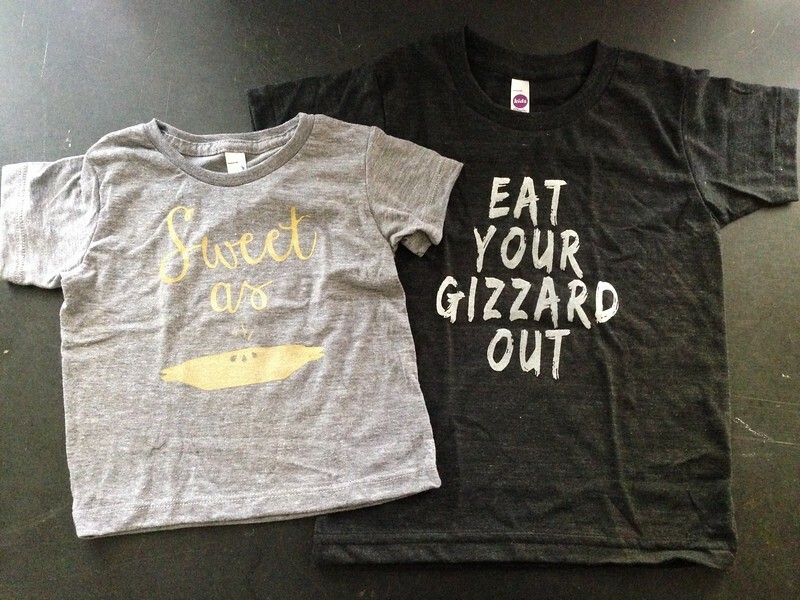 I know the gizzard thing is weird, and the sweet as pie is recycled and renewed from last year, but I thought I was hilarious, and luckily my kids wanted to wear them. I didnt sell them in the shop, but it got me excited to be making shirts before the night before their wear. 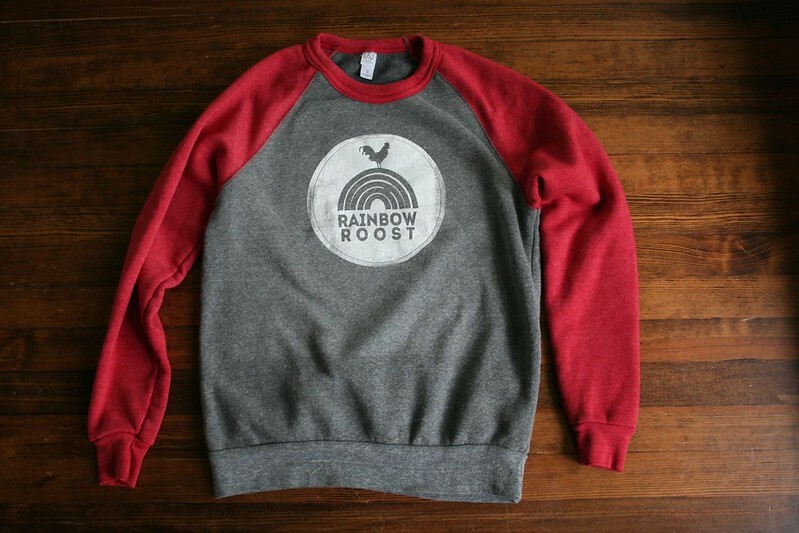 Along the way, I started dreaming about having Rainbow Roost sweatshirts and putting them in the shop. I had bought the hello sweatshirts last year and realized that was all I was wearing this fall and winter. I tried to find the actual sweatshirt online and figured out how to buy them wholesale with a tax ID. So I ordered some, printed off a million ideas of how I wanted to make the logo on the shirt and then actually printed one. I was critical of it at first, but now I love it. I had more fun doing that than I have had in a really long time. This summer has been a hard one for me for a few reasons and I was in the biggest creative slump of my life. I prayed and prayed for more creativity and ideas. I lost my appetite (not weight, of course. that would required actually not eating instead of just loosing my appetite and still trying everything just in case it sounded good once it was in my mouth), couldn't sleep, or wanted to sleep all the time, and just was having a hard time. I loved making the leggings, but the sewing part is hard for me. My favorite part is designing them. So, I ended up with a lot of swatches of fabric and not enough motivation to make them into anything. Making shirts was one of the first times that I have come alive in a while. I remembered why I love it so much and I am just so thankful for the creative outlet that it gives me. It is truly an answer to prayer for me. SO after the shirts came in, I just kept dreaming of holiday shirts. I tried printing off and making a lot of different options and eventually felt like I had a few I loved. I told Allison about the shirts, and she, of course, had tons of amazing ideas for shirts she wanted to put in the shop. My cousin Lindsey came over and made some with us and came up with the cutest ideas ever for shirts and we were all set to make them (until the screen didnt burn due to the incredible cold front that came in and warped my light that I burn screens with). It was still fun. Then, Al came in town and we stayed up until 3 in the morning printing shirts. We got so excited and had so much fun being together and making shirts. It was just like we lived down the street from each other in Lubbock again, or were at our parents house making shirts again for lindsays 16th bday. It was so much fun. All that to say, holiday shirts are in the shop and we are so excited. I want to add my kid leggings and headbands and am testing some patterns to see if they work, so be on the lookout for those, if you want. You can almostttt call me stella. I think I have almost gotten my groove back. Thanks to Sweet Tees for your creativity and for the incredible inspiration. Thank you guys for buying scarves from us, good kid jars, crochet hats, and whatever we have put up in the past. We hope you like the sweatshirts! I sent you a message on etsy. 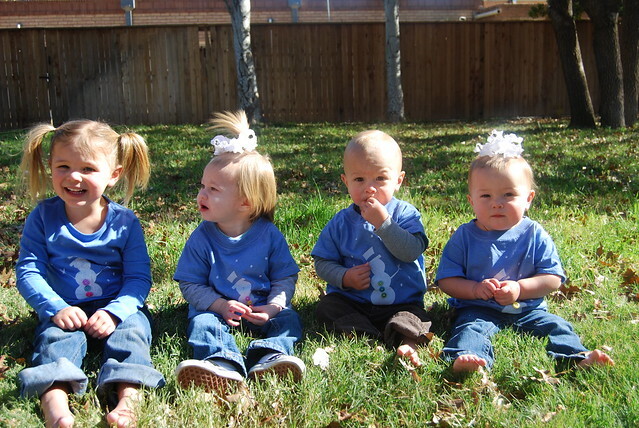 WE LOVE our turkey shirts! I LOVE the sweatshirts, too! Are you going to have them in kids sizes? or even kids t-shirts? :) I can't wait to see the leggings & headbands! I'll keep checking back! yay! LOVE it all!